A 2 bedroom row cottage, built around 1875 and refurbished in the last few years. It is fully self contained with a full modern kitchen, bathroom with walk in shower and washing machine and dryer. Bedrooms have space-the lounge room has a digital tv with inbuilt DVD and the kitchen has room to move and a fridge with freezer and electric stove and microwave. Clyde's Cottage is about 1 km south of the city. It is close to Unley Road and a huge range of cafes and fine dining. It is close enough to walk to the city and is on a frequent bus route to city. Clyde's cottage has an enclosed backyard with outdoor setting and BBQ. Clyde's Cottage is part of Harriett's Cottage Accommodation. If this one doesn't suit your requirements or the the dates are not available we do have Harriett's Cottage Adelaide (about 1 km North ) , Cottage SixtyA in Adelaide (about 300 m east) and Sandrift or Kybunga by the Largs North Beach that maybe be available through the Stayz website. Clyde's cottage is also located close to many Unley Road cafes and fine dining and the major supermarkets are a short distance to the south or nearby in the city. Do you prefer fresh fruit and veg...then try the Central Market in the city! Or on Sunday-the Farmers Market at the Wayville showgrounds. 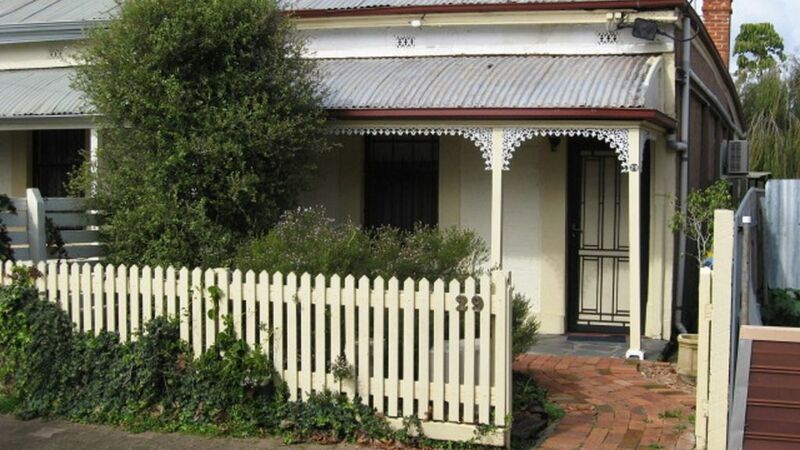 Clyde's Cottage is close to the inner-city action, or a short stroll to the Unley Road cafes. Haighs chocolates is just around the corner. The Clyde Hotel (formerly BOHO) is a short stroll away. City Parklands including a many playgrounds within a short walk are accessible from the end of the street. A great place to stay with easy access to, easy to find, always parking on the street, fantastic location, a home away from home and good value. Thanks for the milk in the fridge. Will come back again! our stay at this cottage was wonderful..everything was thought of, and our dogs were comfortable. The locality was handy to shops.. the only issue was the parking, there was only parking for one car. We would certainly stay there again! Clyde's Cottage wasn't available at required time but we were offered Corry's Cottage instead. We had a comfortable and enjoyable stay in this character-filled cottage near the CBD and would stay there again. It was also a bonus being able to take our little dog.